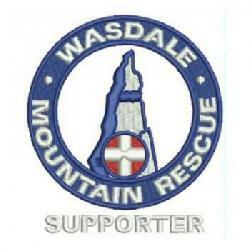 The team were called out at 11:00 pm for two walkers who had climbed Scafell Pike and had not returned to their holiday accommodation. 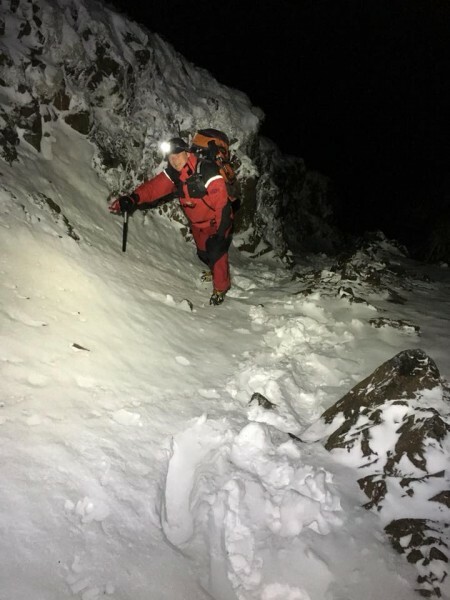 Duddon and Furness team were brought in to help due to the winter conditions and low temperatures and real concern for their safety. Around 20 mountain rescuers were involved in this 9 hour incidents plus the Coastguard helicopter from Prestwick that provided aerial infra red searching. Finally, when the two were found by team members on the ground in upper Eskdale, very cold and wet, the crew flew the two walkers to Furness General for warming and checks before being released. Many thanks to our colleagues from Duddon and Furness and the Coastguard helicopter.